Updated 10:56AM, Wednesday October 31st, 2012	by Sam Hailes, Christian.co.uk Be the first to comment! When Martin Luther nailed his ninety five thesis to the door of All Saints Church in Wittenberg, it marked the beginning of a new type of Christianity. Protestantism. The event is commemorated worldwide by Christians today, 495 years on. What was originally seen as a protest movement against the Catholic Church has since spawned countless new denominations. But rather than being generically protestant, most reformed Christians tend to draw their theology from one particular reformer – John Calvin, who in turn taught Sola Scriptura (that the Bible contains all knowledge necessary for salvation and holiness). This article looks at three past and present pioneers in the Reformed movement who have all helped shape the theology of Calvinists and Reformers today. The founder of Calvinism converted to Christianity at the age of 24, going on to write commentaries on most books of the Bible. 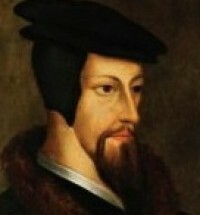 The Frenchman's influence continues today as thousands of churches preach and subscribe to Calvin's views. The theologian's writings on predestination and absolute sovereignty of God are most well known. Many of Calvin's devotional readings, sermons and commentaries are still available today. Of all his work, Institutes of the Christian Religion is most notable. The book was re-published later in Calvin's life and went on to alter the course of Western history. Still studied by theology students today, the book has been translated to multiple languages including English. In the 16th century it acted as an introductory textbook on the Protestant faith. John Piper is in many ways a modern day John Calvin. Despite being seperated by 400 years of history, both Johns share a love of doctrine, scripture and writing deep theological books. 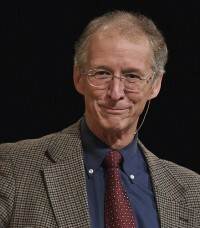 Although he leads Bethlehem Baptist Church in Minneapolis, John Piper is a scholar as well as a pastor. Writing on a popular but deep level, Piper encouraged his fellow Christians to love God well by thinking well about the world and the Bible in his book Think. In his most well known book Desiring God, Piper argues that God is most glorified when Christians are most satisfied in him. This has led to the development of a theology called Christian Hedonism. His life's motto is to “spread a passion for the supremacy of God in all things for the joy of all peoples through Jesus Christ”. But the pastor is not without his critics. In 2009 he claimed a wind storm during a Lutheran conference was a “gentle but firm warning” from God. His view that God predestines some to hell has also been controversial in some areas of the church. 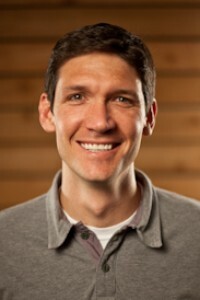 Listening to Matt Chandler’s popular podcasts you’d think the man was in his 50s. His thick Texan accent and authoritative voice results in powerful preaching which touches thousands around the world. The 37 year old’s maturity has developed through both good and bad times. The Village Church has grown from a few hundred to a few thousand people during the 10 years Chandler has been pastoring. But the success story was overshadowed two years ago when the young pastor was diagnosed with brain cancer. Matt’s ability to practice what he preaches – even in the most difficult of times has attracted widespread praise from Christians across America. His book The Explicit Gospel has also been lauded for its ability to communicate the reformed view of the gospel in a clear and entertaining fashion.